Traumatic events such as abuse, neglect, and household dysfunction that occur before age 18 are referred to as adverse childhood experiences (ACEs). 1Alberta Family Wellness Initiative. 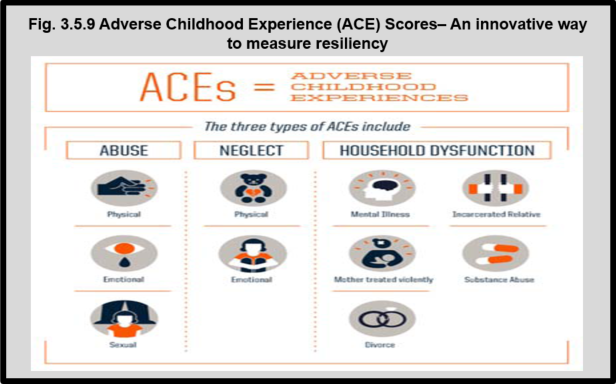 Adverse Childhood Experiences (ACEs): A measurement tool for public health practitioners and clinicians. http://www.albertafamilywellness.org/what-we-know/aces-accessed July 29, 2017. 2Felitti, VJ et al. American Journal of Preventive Medicine 1998. 14:245-258. http://www.acestudy.org -accessed June 26, 2017. As a result of the plasticity in brains, resilience factors can mitigate or reverse the potential for poor outcomes. Resilience helps explain why some individuals who have experienced trauma do well while others do not. It is important to focus on prevention of ACEs and recovery from ACEs to decrease the burden of poor health outcomes. Strategies include primary, secondary and tertiary prevention. • ACEs are common and co-occur. • Findings show a graded association with number of ACEs for the majority of adult health outcomes. 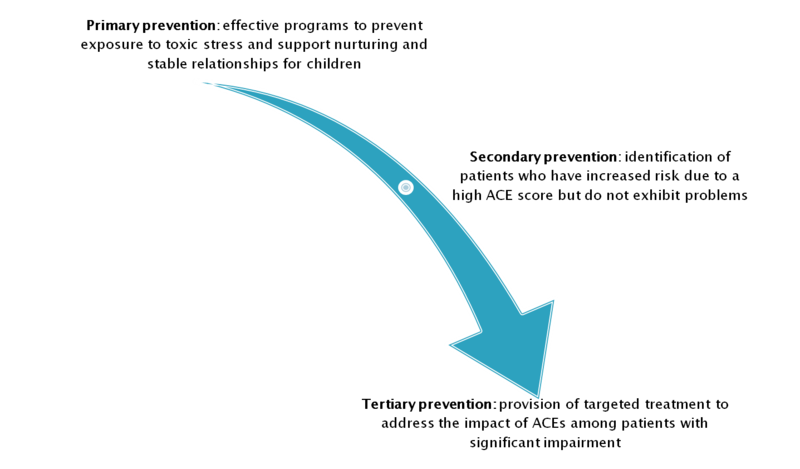 • The ‘tipping point’ for clinical relevance appears to be at least 3 ACEs. • Children who experience BOTH abuse and family dysfunction have the highest risk for mental health problems and chronic pain in adulthood.